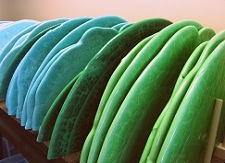 We have approximately 150 colors of pizzas in stock ready to ship. Other colors must be ordered and can take 10-15 business days to receive. To see a current list of our in-stock colors, click here. There is no extra charge for special orders. For pizzas, plan on 4 pounds of smalti per square foot but this is dependent upon the spacing between your pieces. Questions about pizzas, including how to cut them? Click here. Smalti is manufactured by pressing hot glass into a consistent, flat shape. 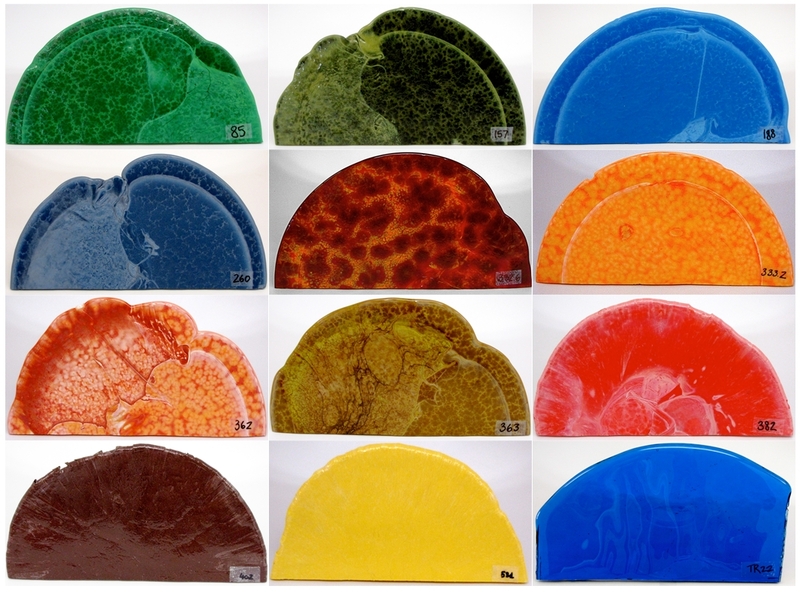 In doing so, a round slab of glass is created and these slabs are called "Pizzas". From this point, the slab is cut by the factory into smaller pieces according to the product requirements. There are severals ways you can cut pizzas. You can tap them with a hammer and let the break lines fall where they may. For more precise cuts, you can use an oil fed glass cuttter and a pair of running pliers. And for the most precise cut, you can use a wet saw with a carbide cutting blade. di Mosaico sells all of these tools in the Tools section of our online store. An excellent sequence of images showing the cutting process can be found on MDM's website by clicking here. Pizzas reveal another element of the smalti glass making process that is not typically seen in the normal cut smalti. That is the variations in color and texture of the pizza surface. With these variations, an artist can create a truly unique work of art. Pizzas are available in the full smalti color palette and Di Mosaico stocks over 150 colors. We typically stock as half pizzas as this size is better for shipping. If you are interested in a particular "look", we can provide images of the pizza in stock prior to shipment.